The Kentucky Derby is right around the corner (May 6 and 7) and this week we'll be featuring a series of delicious down home recipes to help you celebrate this spectacular historic horse race in style. From Shrimp and Smoked Grits with Tasso Gravy and Pan Roasted Chicken with Moonshine Raisin Sauce to a scrumptious Blackberry Cobbler with Lemon-Rosemary Biscuit Topping, you'll find this Kentucky Derby menu unbeatable - especially when you wash it down with a Prospector's Julep (or two! ), a refreshing libation created by award-winning mixologist Charles Joly. 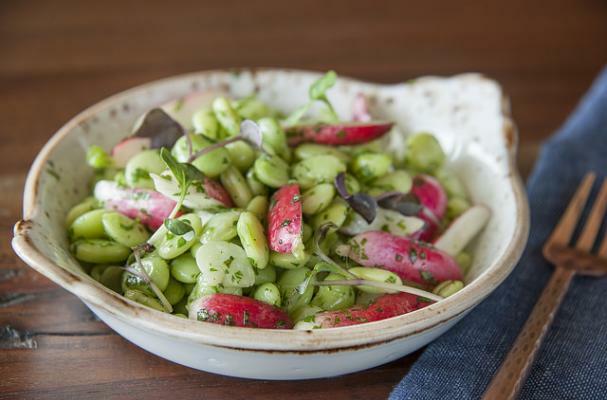 Today we're starting off with this flavorful springtime Butterbean and Radish Salad. This fresh and simple salad bursts with flavor from cilantro, parsley, lemon juice and cumin, which lends a pleasant and distinctive pop of spice. Get the recipe below and stay tuned this week for the rest of the Kentucky Derby At Home recipes. Blanch beans in a pot of boiling water for 2-3 minutes. Rinse under cold water until cool. 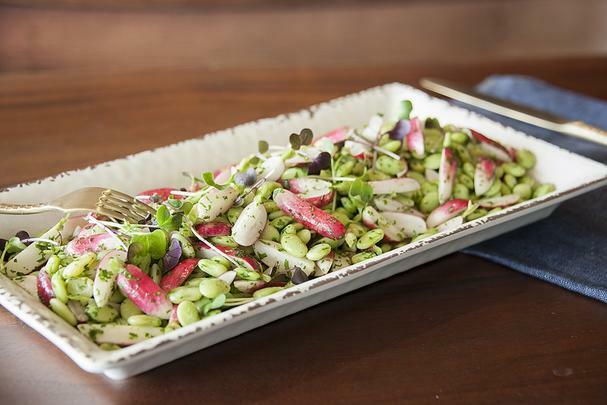 In a large mixing bowl mix beans and radishes, add oil, lemon juice and cumin. Combine until well mixed; add parsley and cilantro, season with salt and pepper.